US Airways announced a major rearrangement of service today, one that will see large-scale reductions at key destinations and the loss of roughly 1,000 jobs. Reducing Las Vegas (LAS) flights from 64 to 36 daily departures by February 2010 as a result of high fuel prices and continued weak demand associated with the Las Vegas market. Closing stations in Colorado Springs (COS) and Wichita (ICT) and moving that flying to more profitable routes across its three hubs. Redeploying the airline’s 15 E-190 aircraft on routes between Boston (BOS) and Philadelphia and on the Boston-LaGuardia (LGA) leg of the US Airways Shuttle. 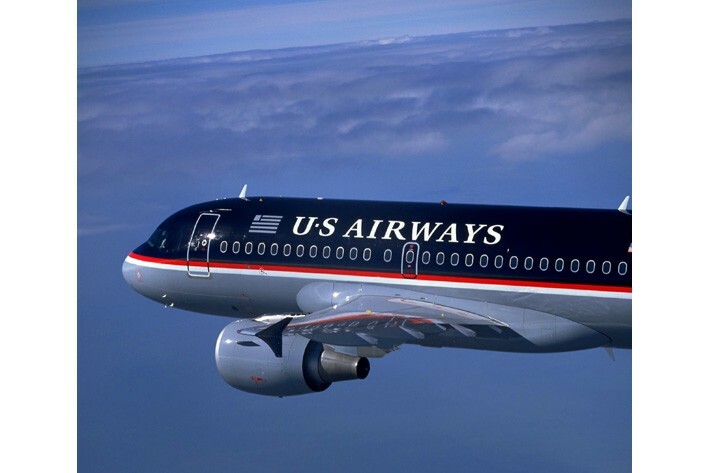 Suspending five European destinations from US Airways’ international gateway in Philadelphia, given the weakness in trans-Atlantic revenue: Birmingham, U.K. (BHX); London Gatwick, U.K. (LGW); Milan, Italy (MXP); Shannon, Ireland (SNN); and Stockholm, Sweden (ARN). Seasonal service to Brussels, Belgium (BRU) and Zurich, Switzerland (ZRH) will transition to year-round service in late 2010. Returning its Philadelphia-Beijing (PEK) flight authority to the Department of Transportation (DOT) until economic conditions improve, while retaining the option to reapply for this authority in the future. Rightsizing and repositioning its crew bases in Philadelphia, Charlotte, Phoenix and Washington, D.C. by closing crew bases in Boston, LaGuardia and Las Vegas. The Las Vegas and LaGuardia bases are expected to close on January 31, 2010, and Boston will close on May 2, 2010. Like I said, these changes speak for themselves. US Airways is aiming to strip down its service to the basics: Reliable, money-making routes focused on its hubs. None of this Beijing stuff. These changes also speak for the airline, which, like an overextended army, is pulling back to regroup (pardon the cheeseball metaphor). For travelers, the impact is difficult to judge. Obviously there are measurable cuts in service, notably to Las Vegas and Europe, but the long-term effects of these moves are less clear. US Airways certainly seems like an airline in trouble, though, and retreating to its hubs—while shedding jobs, closing crew centers, and reducing service—suggests lean years ahead.